Equating resistance to the migrant influx into Europe with the extreme right is exactly the mistake that Western European politicians are making, political author and commentator Srdja Trifkovic told RT. Journalist Michael Opperskalski weighed in with his own view, however. 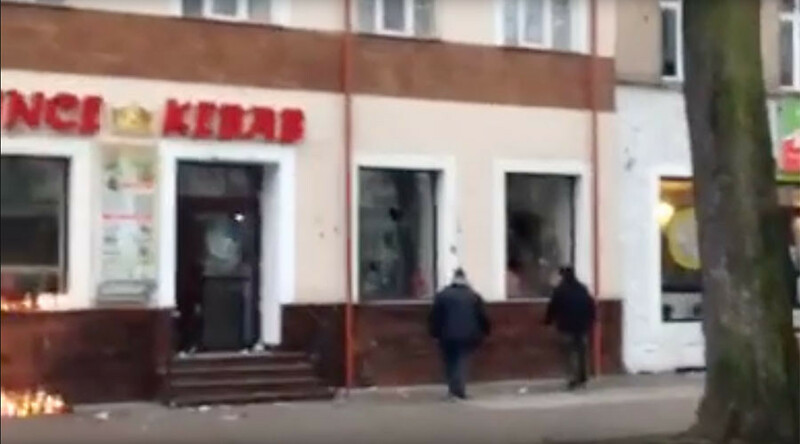 On Sunday, the Polish town of Elk suffered a day of rioting incited by the fatal stabbing of a local man outside a kebab shop. A 21-year-old Polish man was killed in a brawl there on Saturday evening after he threw a firecracker at the diner. The Polish government has accused a Tunisian citizen of committing the murder. RT: So far, the details of this tragic incident are unclear, but what does it say about the general state of tensions between Poles and migrants from the Muslim world? Michael Opperskalski: The situation is tense. It is a mixture of a complexity of problems. Just before Christmas break, the German intelligence service was providing the German government with an analysis of the situation in Poland, and parts of the analysis were leaked, saying that the situation in Poland is going to be more and more explosive. Number one: Explosive towards Western attempts, especially by Europe, and more especially by German, to dictate things on the Polish people and to decide things. RT: Poland has accepted a relatively small number of migrants compared to its neighbor, Germany. Why are we seeing such hostility to them? MO: The hostility is very much linked to three factors. Number one: It is imported from other countries surrounding Poland. Secondly, the solutions that the Polish government shall take are dictated by other governments. Thirdly, there’s a spectrum within the Polish society that comes from the extreme right and extreme church forces who try to exploit the immigrant question, which is not a question for Poland at the moment… for changing the political climate. When we talk about Poland, we talk about a complex and very explosive situation. RT: So far, the details of this tragic incident are unclear – police have yet to confirm any of the reports. Yet crowds still went out onto the streets, setting fire to two restaurants. Don’t you think that’s a bit of an over-reaction? Srdja Trifkovic: First of all, we have to remember that, only two days ago, the Polish truck driver who was killed in Berlin three hours before the rampage which killed 15 and injured dozens [was laid to rest] – this has really focused the attention of the Poles on what is widely perceived as the Muslim migrant threat to Europe. President of Poland Andrzej Duda attended the funeral, and it was very high profile occasion. So, I think it is really this context that provides the wider framework for the anti-migrant and anti-Muslim mood in Poland. Secondly, in general, it’s the former Soviet bloc countries – the so-called Visegrad Four, which also includes the Czech Republic, Slovakia, and Hungary – which have offered stiff resistance to the attempts by the EU to impose migrant quotas on individual member countries, regardless of their Parliaments’ will or of their public opinion. So, it is really in this context that this should be seen as an expression of nativist anger and resistance to what is seen in Central and Eastern Europe as Western Europe’s failed policy of excessive welcoming of the migrants, and unsuccessful attempt to absorb them into the closed society. RT: International affairs expert Michael Operskalski said that “there is spectrum within the Polish society that comes from the extreme right and extreme church forces who try to exploit the immigrant question, which is not the question for Poland at the moment.” Do you agree with him? ST: Absolutely not. In fact, I think that equating resistance to migrant influx with the extreme right is exactly the mistake that West European politicians are making. There are millions of perfectly decent non-racist people who feel that something very important is happening in both the demographic and social sense, and that their quality of life is going down as a result. If we look at the situation in France, in Poland, even in Germany, where the welcoming atmosphere for immigrants was absolutely amazing last year, this has changed not because these people are extreme rightists, but because they have perfectly understandable grievances and apprehensions about the future. In Poland and other Central and Eastern European countries, people see that Angela Merkel’s policies have produced problems which will not be solved in years, if not decades. And they do not want to create no-go areas in Warsaw, Krakow, Bratislava, Prague, and Budapest. They do not want to have the ghettoes into which no policeman dare venture on his own. I would say simply [tying] this to the opportunism of the extreme right, which wants to exploit this mythical threat, is exactly the kind of elite view that underestimates the genuine feeling of comprehension of millions of perfectly decent middle-of-the-road Europeans.